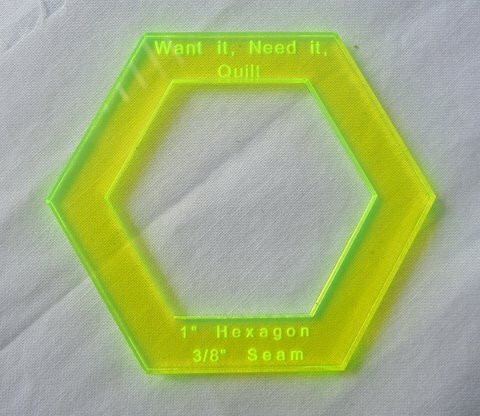 Click the button below to add the 2" Hexagon Templates to your wish list. 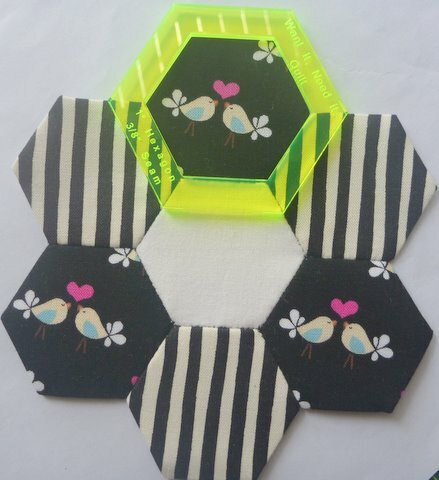 A great template for use with 2" sided hexagons. The design is perfect for fussy cutting fabrics. The template has 1/2" seam allowance.